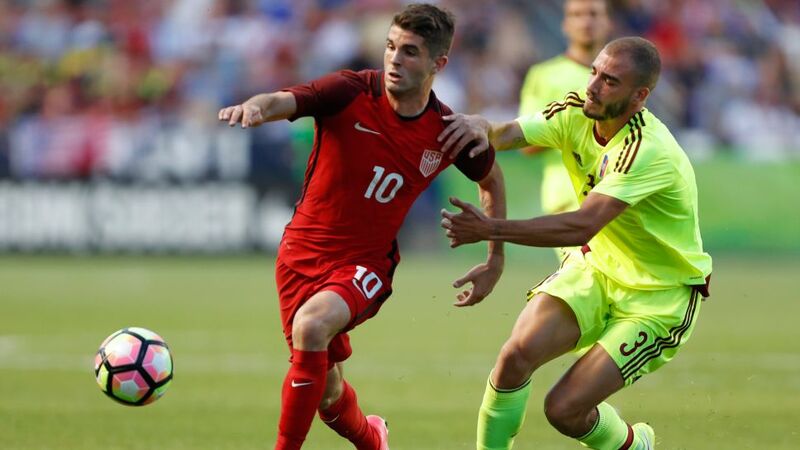 Borussia Dortmund star Christian Pulisic was on target on Saturday night to secure a draw for the USA in their friendly against Venezuela in Sandy, Utah. In a warm-up match ahead of their 2018 World Cup qualifier against Trinidad and Tobago, the USMNT trailed Venezuela to Jose Manuel Velazquez’s first-half goal before Pulisic combined with Borussia Mönchengladbach’s Fabian Johnson to fire the USMNT back to parity with a left-footed effort from the edge of the box. That takes the 18-year-old’s goal tally in senior international football to five in just 14 appearances. Pulisic played the full 90 minutes in Utah alongside Hamburg’s Bobby Wood up front, whilst Johnson and new Wolfsburg centre-back John Brooks were given an hour by coach Bruce Arena.